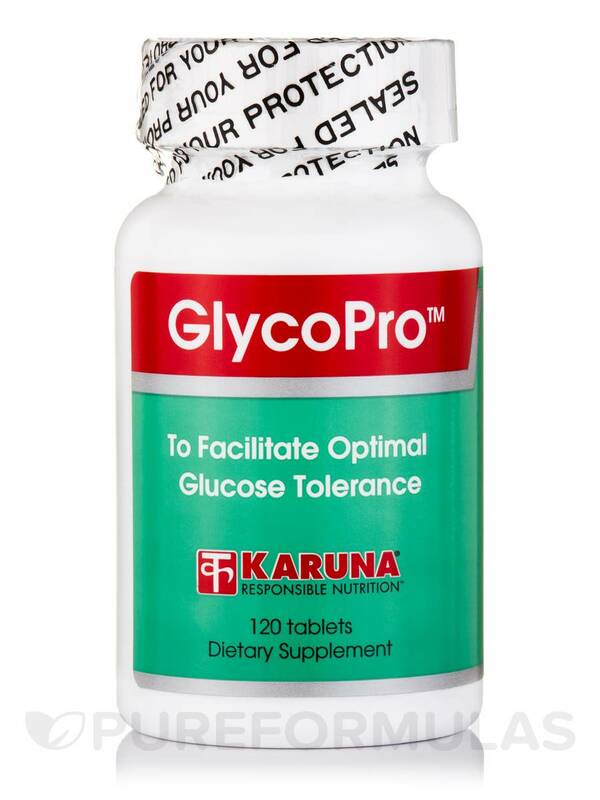 GlycoPro™ by Karuna Health is a supplement that contains nutrients and natural botanicals with the potential to aid in maintaining healthy glucose levels. First‚ every serving of GlycoPro™ provides 600 micrograms of easy-to-absorb chromium picolinate. 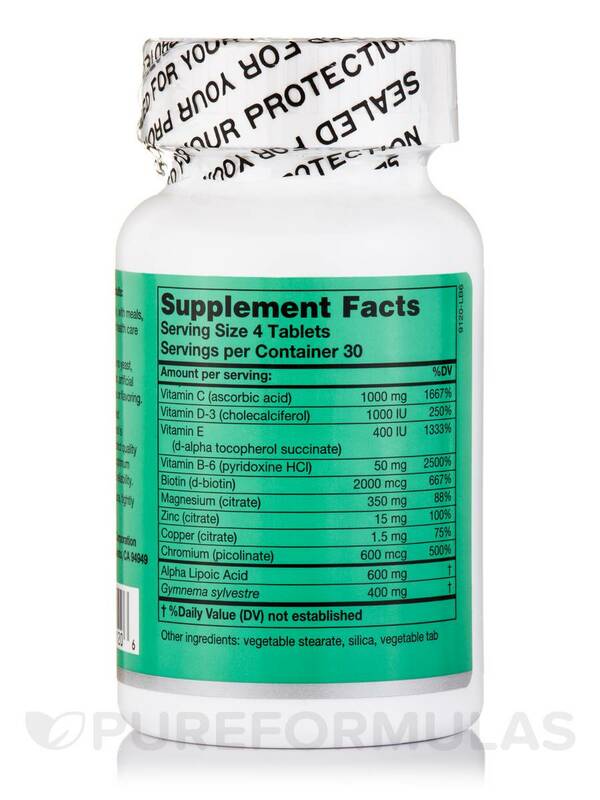 Chromium is a mineral that may offer support for optimal glucose metabolism; specifically‚ it may act to increase the sensitivity of the insulin receptors on the surface of most cells. In addition‚ GlycoPro™ contains several antioxidants—namely quercetin‚ vitamin E‚ and ginkgo biloba—that might work to protect your tissues from exposure to excess glucose. 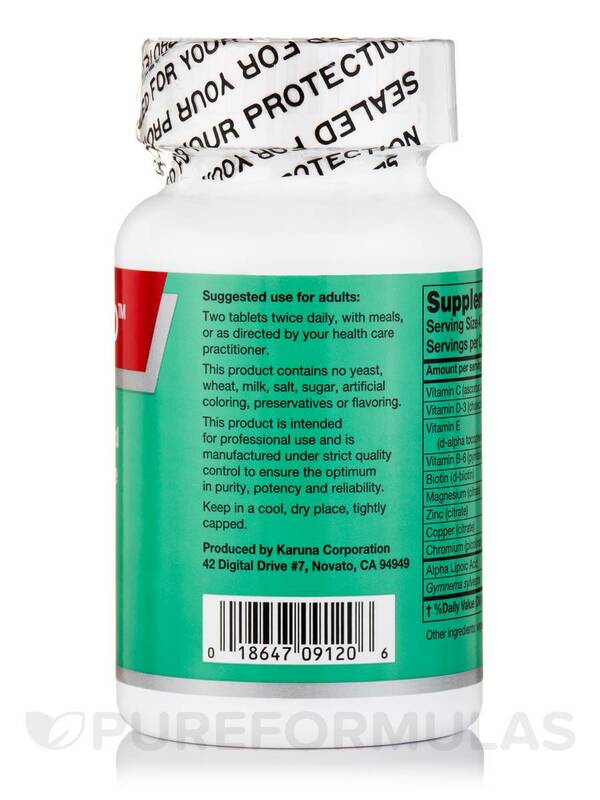 Moreover‚ L-carnitine is an amino acid that could potentially act to discourage spikes in blood sugar. Finally‚ an Ayurvedic herb called gymnema sylvestre may have a negative effect on the ability of the taste receptors on your tongue to detect sweet flavors; therefore‚ this supplement could potentially help you cope with mild sugar cravings. 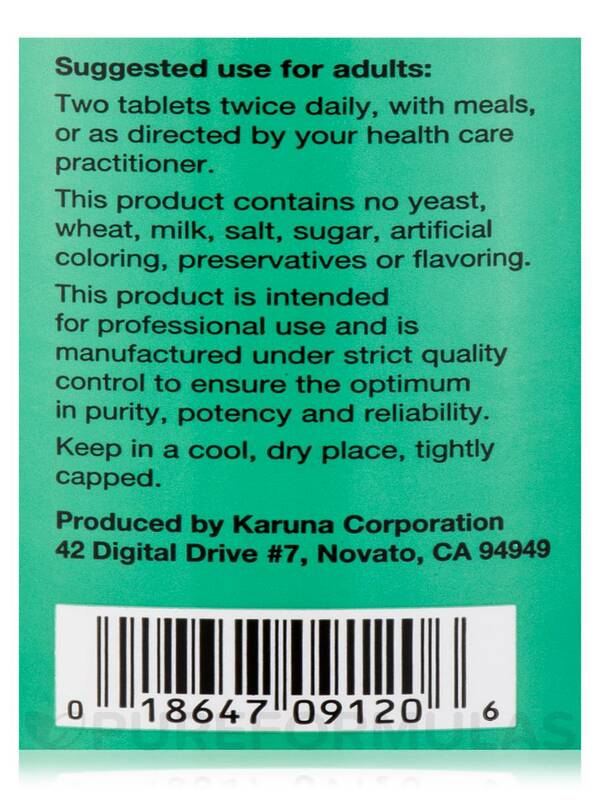 At the standard serving size of four tablets daily‚ each 120-tablet bottle of Karuna Health's GlycoPro™ should last for about one month. ***Standardized to 24% ginkgo flavone glycosides and 6% terpene lactones. 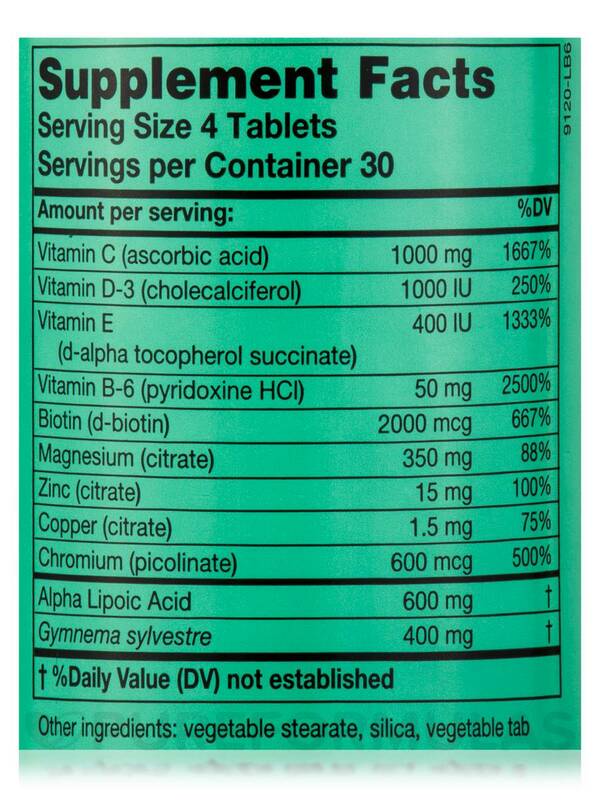 Four tablets daily‚ or as directed.